Posted on March 28, 2018 - 02:00 AM by Your Toledo Bend Express Team! There are a variety of reasons you might want to make your home green. From allergies to energy bills, giving your home an environmentally minded upgrade can not only be better for your health and utility costs, it can also improve the value of your home when it comes time to sell. It is true, after all, that energy efficiency consistently ranks near the top of home buyers' wish lists. The good news, if you're considering steps to a greener home, is that there are many things you can do that aren't necessarily expensive or all that time consuming. From smart technology to natural household cleaners, if you're interested in a greener life, there are plenty of products and practices that can help you achieve it. According to Marla Esser Cloos, author of a new book published by the National Association of Home Builders, the key is incorporating new habits into your day-to-day life. “Living green has to be a blend of the stuff you buy and the things you do,” she says. “If each of us built five simple practices or changes in buying habits into our daily routines, we would all soon have our own everyday green homes – and we would change the world.” To get going, buy some energy-efficient light bulbs or start a garden, then work your way up to replacing your old windows and upgrading your insulation. 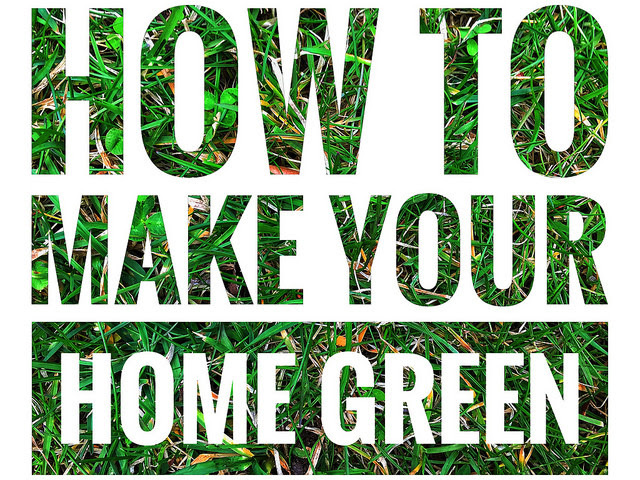 No matter where you live or what your budget may be, there are things you can do today to begin making your home green. More here.